NILES, OH - The Mahoning Valley Scrappers, inconjuction with the Cleveland Indians Player Development Staff, are pleased to announce that Dennis Malave has been named manager of the Scrappers for the 2019 season. 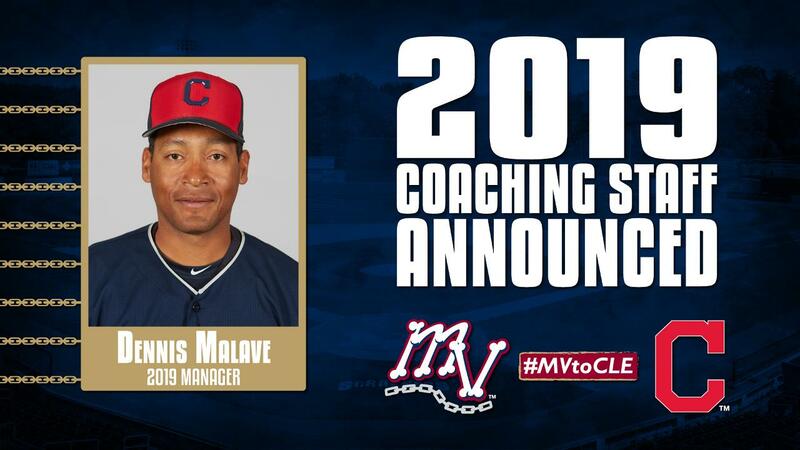 Malave is making his managerial debut in Niles and is entering his 15th season in the Cleveland Indians organization. He most recently served as Bench Coach for the Akron RubberDucks in 2018. Dennis played with the Scrappers for 3 seasons (1999-2001) as an outfielder. Following his time in the Minors, Malave was the Indians bullpen catcher from 2007-2008. He returned to Niles, Ohio in 2010 as the Scrappers hitting coach before serving as hitting coach for the AZL Indians from 2011-2017. Returing for the 2019 season will be Jason Blanton (Pitching Coach) and Omir Santos (Bench Coach). Following a year in Lynchburg, Grant Fink will re-join the Scrappers as Hitting Coach. Completing the staff is Strength and Conditioning Coach, Juan Acevedo and Athletic Trainer, Patrick Reynolds. Malave and the Mahoning Valley Scrappers open up the 2019 season at home on Sunday, June 16 at 6:35pm against Batavia Muckdogs. Ticket packages for the 2019 season are on sale now. For more information, contact the Scrappers Front Office at (330) 505-0000 or visit mvscrappers.com.